The United States market for Organic craft beer is an industry that has grown by thirty million dollars just in the last decade according to the Statistics Portal. That’s just looking at the beer and malt beverage industry. Overall Global sales of organic foods amounted to about 90 billion U.S. dollars in 2016 (1). With all of the media coverage on lawsuits over Chemical Pesticides causing cancer and everyone asking is Organic the healthiest option available. I thought I would ponder these questions over as I make my own Organic Beer at the Urban Permaculture Laboratory home of the World Permaculture Association. What Is Organic Agriculture Certification? I want to put this out there that Certified Organic Agriculture is NOT always chemical-free farming. According to IFOAM (International Federation of Organic Agriculture Movement), “Certification is the procedure by which operators receive written and reliably endorsed assurance that they are producing specified products in compliance with a particular standard.” Organic Agriculture Certification is a certification process for producers of organic food and other organic agricultural products. Organic foods are not necessarily chemical free. Organic foods are produced using only certain chemicals with specific ingredients. The organic pesticides, herbicides and, fungicides tend to have natural substances like soaps, lime sulfur and hydrogen peroxide as ingredients. Not all natural substances are allowed in organic agriculture; some substances that contain ingredients like arsenic, strychnine and tobacco dust (nicotine sulfate) are prohibited (2). Additionally, there are additives and preservatives in the packaged foods on the market, advertised as Organic. In December 2005, in the United States the 2006 agricultural appropriations bill was passed with a rider allowing 38 synthetic ingredients to be used in organic foods, including food colorings, starches, sausage, and hot-dog casings, hops, fish oil, chipotle chili pepper, and gelatin; this allowed Beer Companies in 2007 in the United States to have its Wild Hop Lager certified organic even though [it] uses hops grown with chemical fertilizers and sprayed with pesticides(3). This is according to “Organic” food rule could have up to 38 loopholes” published in the Seattle Times. However, as of January 2013 in the United States, a beer needs both certified organic hops and yeast to qualify as Certified Organic. Consequently, when it comes to being able to label beer or food as organic the producer, farmer, and manufacturer have regulations and standards. Different standards and regulations depend on your location. Additionally, There are also different levels on certain standards in certain areas, for example, Organic Beer made with less than 70% organic ingredients cannot be advertised as “organic,” in the United States. However, these products can list individual ingredients that are organic in the product’s ingredient statement. 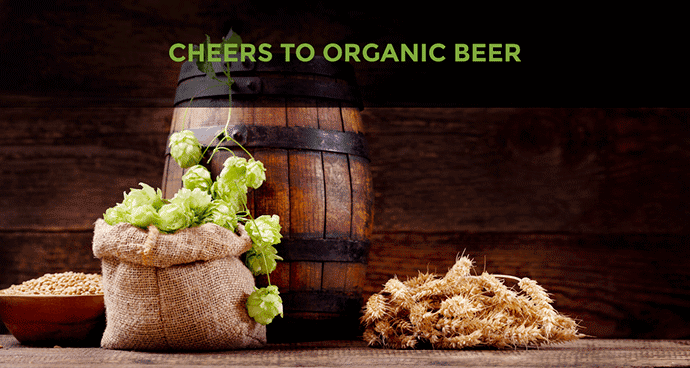 To have the certification of “Organic beer” at least 95 % of the ingredients must be certified organic. Other terms to keep an eye out for on labels are “authentic” and “natural.” These are terms that are marketing with the ideas of Organic but are not able to be certified because of practices or lack of monetary funds needed for certification. There are many things to consider about Organic Certification, and I just touched on the Certification Labels. One of the many things when it comes to the food we eat let’s now talk about Permaculture and growing your own food. In my corporate position in the agriculture industry, I mastered international protocols and build technical and management skills. I should also have experience as an Auditor/ Inspector according to ISO 9001, Organic Agriculture, ISO 22005 and GlobalGAP. These are international certification standards used in the food and agricultural sector. I grew increasingly aware of the gaps in the current model of farming and the need for more holistic strategies. When it comes to the implications on the earth (soil, water, and air), the implications of chemicals on our bodies, as well as the nutritional loss of food during packaging, shipping, and processing. After three and a half years I left this corporate Agronomist position. I did not want to support a broken system. I had no other job alternatives. My wife and I wanted a baby. My wife and the rest of my family were very disappointed, but I had a dream to impact the world with regenerative agriculture. The best solution will always be within Permaculture, producing your own within the permaculture principles and methods. Producing without the use of chemicals and additives, or if you need to purchase, purchase from people who do not use chemicals. I encourage everyone to support the local farmers and purchase locally and look at and be aware of the labels on packaged foods. Comfort Zone OR The Risk Zone? In the video above I talk about being in the different zones of awareness. I am always trying to build, spread, and expand my knowledge of Permaculture, the use of Chemicals Pesticides, and the effects on our soil, our bodies, and the Earth. The Earth is now in the Panic Zone, and we need to take action to make a change. Cheers To Chemical Free Food Supply! I want to take this moment to extend an invitation to come to The Urban Permaculture Laboratory. Partake in the nutrient-rich homegrown food and drink. I’ll save you some beer! Be my guest and learn Permaculture Design.